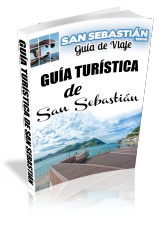 San Sebastian Aquarium has the prestigious honor of being the first natural science museum that was founded in Spain. It was inaugurated in 1928 after three years of hard construction work. Around 1925, it was decided that it should be built at the end of the port, right where then newly-built promenade began. The Aquarium has become the most visited attraction in the city and has received over 12 million visitors ever since. Its essential aims from the very beginning have been an educational ambition and a wish to increase awareness of environmental issues. The aquarium has undergone different remodellings over the course of its history, but its principles have always remained the same. 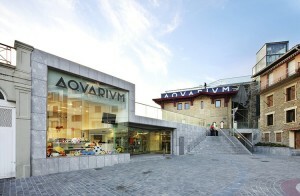 In 1998, the aquarium underwent its –perhaps- most significant remodelling, one that turned it into a reference in the Basque Country and Spain. The Aquarium was equipped with the ultimate technology, creating outstanding facilities where its huge pool especially stands out above everything else: it has a capacity of 1.800.000 litres, and a transparent tunnel goes through the water allowing us to walk across the tank from one side to the other. -Oceanario: the huge pool we have already mentioned. It measures 30 metres long and 16 metres wide, and it has a tunnel going through it which makes us feel as if we were inside the pool when we go across. -Thematic aquariums: they are different aquariums which gather a diversity of species depending on its fauna and origin. Here, we can admire fish from all over the world. -Tactile aquariums: this section will delight the little ones in the family. These aquariums are open so we can touch diverse marine species such as sea urchins and starfish, among others. Guided visits are available for all those who prefer them. The price of a guided visit is 50 euros, Monday through Friday from 10:00 to 17:00. Plaza de Carlos Blasco Imaz, 1, 20003 Donostia-San Sebastián. 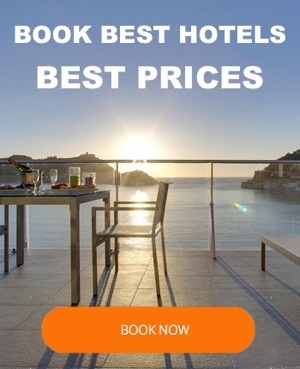 - Mondays to fridays: 10:00 to 19:00 h.
- Weekends and holidays: 10:00 to 20:00 h.